Over the past week or so, theories have been floating around the internet that 1) Luke Skywalker actually turned to the dark side at the end of Return of the Jedi, and 2) Kylo Ren, the new masked villain from Star Wars: the Force Awakens, is actually Luke Skywalker. For some reason, these theories have made me much angrier than they should have. I am not going to say that I spent days stewing over how ridiculous these theories are, but I’m not NOT going to say that either. In fact, as soon as I read these theories I immediately messaged my friend Jeff from the Imperial Talker (the Kenobi to my Luke), and made sure I wasn’t taking crazy pill. It bothered me so much I decided to offer a counterarguments as to why Luke Skywalker did not (and should not) fall to the dark side and, therefore, could not (and should not) be Kylo Ren. Instead of just going on an angry internet rant, I will instead try to provide logical counter-arguments to both claims, because I believe in civil discourse. Let’s look at the theory that Luke fell to the dark side in Return of the Jedi first. I read this theory in an opinion piece posted at Huffington Post (if you’d like to read it in it’s entirety, click here). The idea is that Luke did not actually turn away from the dark side as it appears in the film, but, instead, gave himself to the dark side in order to save his friends and defeat the Vader and Emperor Sheev Palpatine. The author begins his argument at the Tree Cave in Empire Strikes Back. In the film, Luke enters the Tree Cave fastening his weapon belt (much to the chagrin of Yoda) and in a trippy, slow-motion scene in which he encounters Vader, ignites his lightsaber and beheads him to reveal that it is actually his own face under the helmet (Mindfreak!?). The author believes that this is foreshadowing Luke’s own fall to the Dark Side. I, on the other hand, feel it is more of a symbolic warning to Luke that if he isn’t careful he will make the same mistakes his father did. The next part of the article centers on Luke’s change of character in Return of the Jedi. This movie shows us a much darker Luke than we are accustomed to seeing. When two Gamorean guards attempt to bar is entrance to Jabba’s throne room, Luke sends them scrambling back to the wall clutching their throats with a subtle wave of his hand. Using the Force Choke is obviously not a behavior we would expect of a Jedi. He is also pretty quick to cut down any of Jabba’s cronies that stand in his way in order to save his friends. I believe that this does hint that Luke is slowly beginning to be pulled to the dark side (there is a great article on the seduction of the dark side over at Imperial Talker). When I first saw this scene as a kid I remember being completely confused. I thought that of course Luke turned — but only a little bit. After all, he needed the power from the dark side to beat his dad… right? And he acted like a complete maniac but it was only temporary and phew! he came back from the edge! Luke: Master Yoda, you can’t die. Luke: But I need your help. I’ve come back to complete the training. Yoda: No more training do you require. Already know you that which you need. Yoda: (shakes his head) Ohhh. Not yet. One thing remains: Vader. You must confront Vader. Then, only then, a Jedi will you be. And confront him you will. Do you see how that changes things for the author’s theory? Luke did not fail. Vader was his final test, and Luke passes (although it did get a little hairy there for a bit). As Luke is standing over Vader, Luke stops his attack and stares at his fallen father then at his own robotic hand, turns off his lightsaber and tosses it aside. This is not a plot hole. Luke passed the test. While he did rely on fear and anger to overpower Vader, it is the goodness in him that makes him stop and throw away his weapon. Luke tells the Emperor that he has lost and that he is a Jedi like his father before him. Unless he lying (which is what the theory says) Luke is obviously choosing to turn his back on the Dark Side. I am not sure why the author sees this as out of character for Luke. He has been relatively selfless throughout the entire trilogy, always placing the needs of others over his own. Why is that any different than what he did in this instance? He was about to take Vader’s life even though he constantly mentions to both Vader and Kenobi that he senses good in him. This would have been a selfish act unbefitting of a Jedi, but Luke’s selfless personality and the desire to redeem his father snaps him out of his rage and he refuses to finish the task. My biggest issue with this theory is that if we assume that Luke did in fact turn to the dark side it would ruin the entire point not just the Original Trilogy, but the saga as well. Anakin is the tragic hero who, in an attempt to save the life of the woman he loved, gets ensnared by Dark Lord of the Sith. Luke’s tale, on the other hand, is one of redemption. 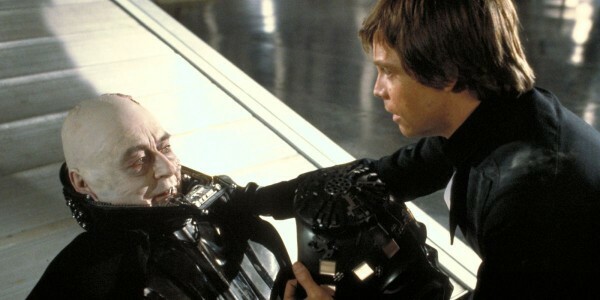 Luke is tempted to use the dark side just as his father was, but instead of falling as his father did, he is able to resist its pull. In doing so, Luke is able to not only embody the actual return of the Jedi (which is the title of the film, mind you), but he also becomes the catalyst for the redemption of his father. It also doesn’t make sense in the context of the ending of the film, as well as the recently released four issue miniseries Shattered Empire. If Luke truly did turn to the dark side, why would he then attend the Ewokian celebration on Endor? And remember, Luke was visited by both of his mentors and his father during this celebration. Surely these three would be able to sense if Luke had truly turned evil, right? 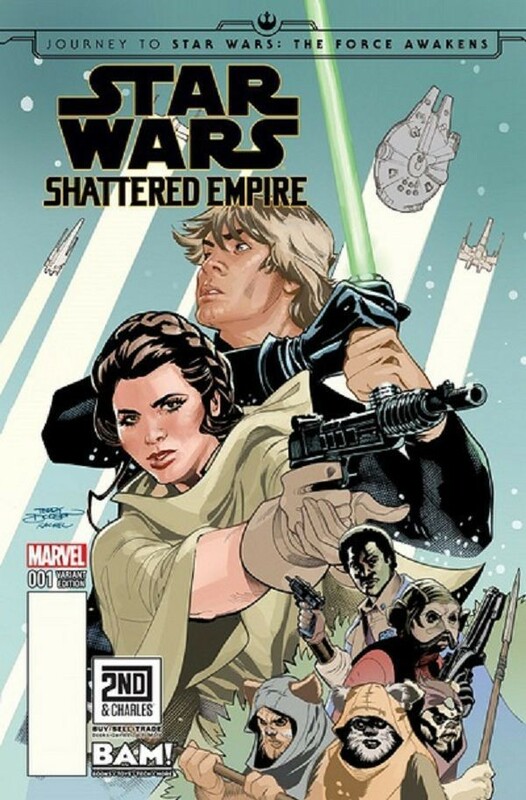 And in Shattered Empire, which takes place shortly after the end of Return of the Jedi, Luke is still clearly good and serving alongside the Rebels as they attempt to stop the Emperor’s postmortem call for the destruction of several planets as well as put a stop to the remaining Imperial factions throughout the galaxy. In fact, at the end of Shattered Empire Luke and the newly minted Rebel pilot Shera Bey set off on a mission to recover some ancient Jedi relics taken from the Jedi Temple after its destruction. I don’t want to give away spoilers since, unlike Return of the Jedi, Shattered Empire is not thirty years old, but the end of Shattered Empire clearly depicts a Luke that cares for others, which is very unlike the individualistic nature shown by the Sith. There’s a lot to unpack in that first theory because the source article was itself a long article. I will say that I actually do respect the guy the wrote the first theory. He put a lot of thought into it and backed it up with some quotes (although there are several quotes he left out that sink the theory), but you can tell he’s a big fan of the Wars. Now we will look at the second theory that Luke Skywalker is in fact KYLO REN. This theory, on the other hand, is absurd. The theory goes something like this: we don’t see Luke Skywalker in the trailer, but what if we did? 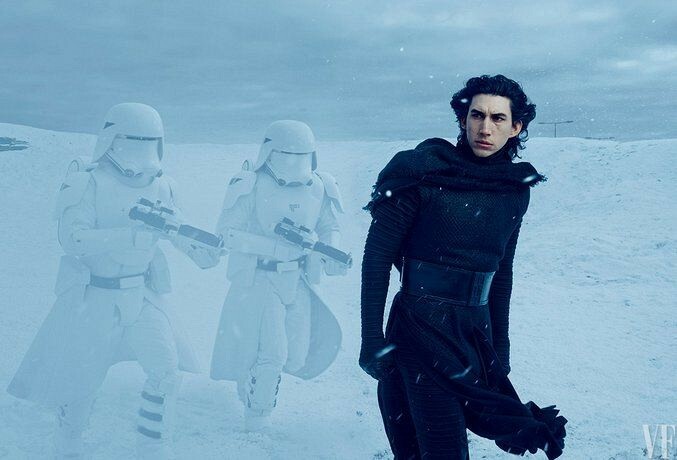 What if he is actually the masked villain with the fancy, cross-guard lightsaber we see trotting through the snow and looking menacing? Because, why not? Side note: There’s not a lot of information about the Knights of Ren. What we we know is, the Knights of Ren is an organization that appears to begin shortly after the end of Return of the Jedi. The Ren in Kylo’s name is actually a surname taken on by the members similar to how the Sith used “Darth” as a title, although judging from some of the interviews I’ve read it seems that the Knights aren’t actually Sith Lords. I know it’s confusing for some that the Knights of Ren aren’t Sith. I mean, Kylo wears all black, wields a red lightsaber, and uses the Force… sounds an awful like all of the other Sith we know. The first problem with this theory is the argument I laid out above. Luke turning to the dark side cheapens the saga and would stand in contrast to Luke’s character throughout the trilogy. If this premise is correct then the possibility of Luke being Kylo plummets to somewhere around 0%, but that’s too easy. As you can see from the 1,600(ish) words above, I overthink these things. Another problem with this theory is the we already know that Adam Driver is playing Kylo Ren… Some have argued that Driver is a body double for Mark Hamill, but if that’s the case then that’s the worse decision since Senator Binks putting forth the motion to grant Chancellor Palpatine emergency powers. Adam Driver is a really slim, really tall 20-30 something with long black hair and no facial hair. 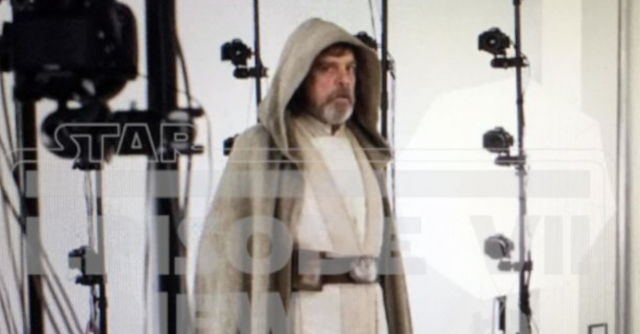 Judging from pictures of Mark Hamill floating around the internet, he’s not exactly String Bean, has a full beard, and definitely does not have black hair. They are about as far apart as you can get from each other as far as body type is concerned. 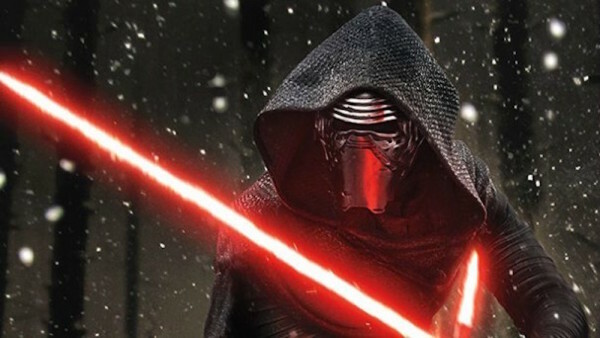 Oh and we’ve already seen pictures of Adam Driver as Kylo Ren sans-mask. Lastly, it appears that Kylo Ren is serving under Supreme Leader Snoke, played by Andy Serkis, who heads the First Order. If Luke were actually Kylo Ren, that would mean he would serve under some other guy. Luke was instrumental in defeating the two most feared in the galaxy. He bested Vader in combat, took blasts of Force Lightning like a champ, and is most likely one of the most powerful beings in the galaxy now. Why in the world would he subjugate himself to some other guy we’ve never even heard of? It just doesn’t make any sense. So, to summarize, for those of you that scrolled to the bottom just to see the conclusion: Luke Skywalker turning to the dark side would cheapen the Original Trilogy, and when you look at all of the evidence doesn’t make any sense. Even worse though, is the idea that Kylo Ren is actually Luke Skywalker. It’s hard for me to express just how absurd that theory is, especially given the reasons I laid out above. I get that people love to theorize about the upcoming Star Wars film, but please at least try to make it fit into the existing continuity.